If you’re only tapped into the iOS gaming scene, you might not know Nicalis. The studio produced NightSky, collaborated on a little game called Cave Story, and has dipped its toes in the publishing world on several occasions. Its that last role it brings to bear on Swift Stitch (Free), originally created by developer Sophie Houlden for PC. Together, they’ve brought over quite the port. 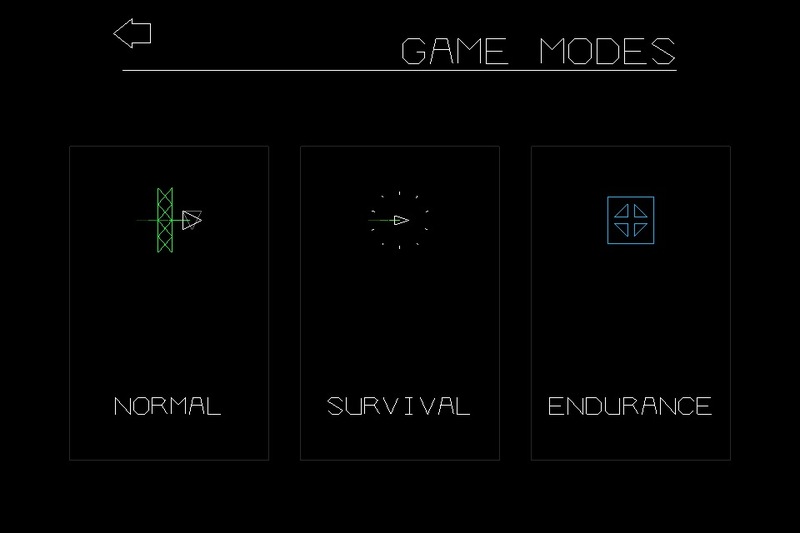 The game may have been designed for desktop, but you’ll have a hard time imagining it anywhere but iOS once you’ve played it with touch controls. Not that there’s a whole lot of touching to be done in Swift Stitch. In fact, about half the time you’ll have your hands completely off the screen. The trick is in choosing the right half. You control a little triangle that’s hell-bent on serging along. You can’t stop it, but put down a finger and it will swap tracks from horizontal to vertical. 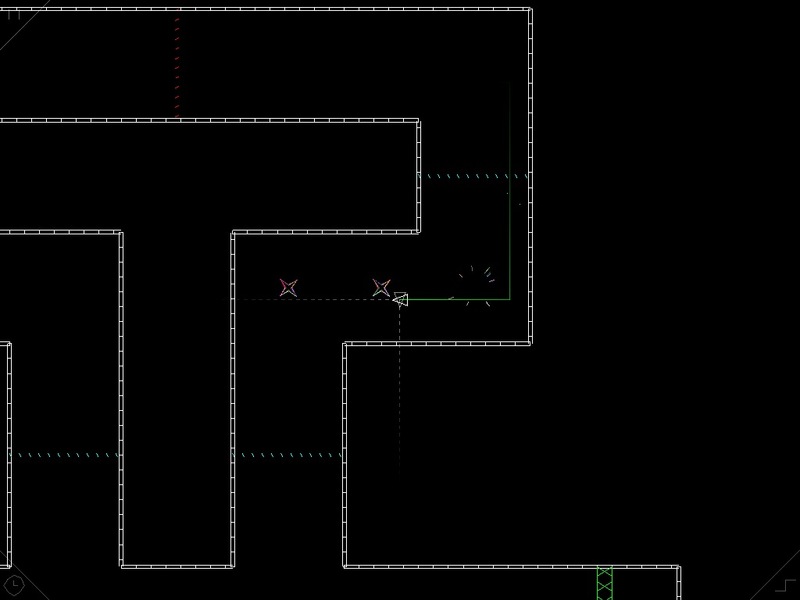 With that alone, you can navigate each of the 42 mazes the game lays out in front of you. Easier said than done, of course. You see, your little triangular ship only wants to go right and down. Up and left are both off limits, at least by default, and it would be a shoddy maze that only had paths that lead in two directions. More of a hallway, really. You solve this problem by running into colored barricades, each of which serves an important purpose. One turns your vertical path from down to up, another turns your horizontal path from right to left. Hitting them at the right moment will allow you to keep on moving through the maze, one barricade after another till you reach the finish line. With just that in the offing, the biggest challenge is speed. Swift Stitch offers 7 speeds to travel at, and splits them down the middle for progress tracking. They go from painfully slow to frighteningly fast, so the trick is to find the one that challenges you without being frustrating. Think of it as calibration for your reflexes, and don’t feel bad if top speed is out of reach. Tweak the speed until you’re comfortable, until you crash into fewer walls and make more of the sharp turns successfully. After that it’s boom, boom, boom, boom as you bounce from barricade to barricade, swapping directions as you go. If things get tight, there is a second button—one that lets you slow time for just a moment. If you need to rely on it, you’re probably going too fast. Then there are the Arc switches, or, as I like to call them, the ‘screw you’ switches. These barricades are special, they send you off traveling in full-circle arcs. In a game of straight lines, this is a real head trip. Instead of taking hard right angles, you suddenly find yourself trying to swim like a fish, tapping rapidly to keep from veering off into the nearest wall. Then you cross over the other side, and likely slam yourself into something hard and unfriendly when you fail to break the fishtail habit. That’s the heart of Swift Stitch‘s difficulty: the moment it takes you to adapt to a change is usually a moment too long. You need to turn on a dime, know when to let go and above all fight your instincts to tap your way back to control. It’s almost impossible to let go every time, to never miss a turn, to leave well enough alone. That’s all well and good; there’s no shaming in trying again. If you take the slow and steady approach, Swift Stitch offers a manageable sort of difficulty. 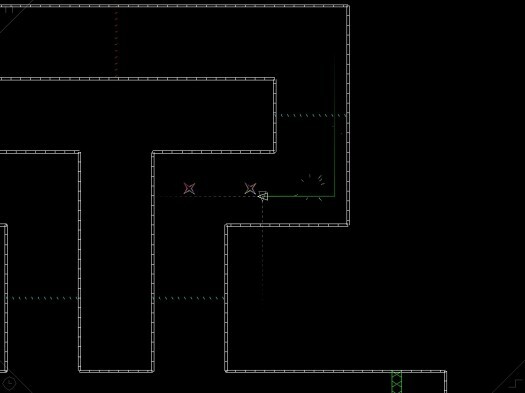 The game could go further with its puzzles, present more branching paths that need to be thought out in advance. Instead, for the most part, the challenge is in execution, not understanding. The execution can push your limits, if you let it. Each level has three medals to earn: one for finishing, one for getting through without crashing, and one for collecting all the shinies. Getting the latter two in one go can be tricky. 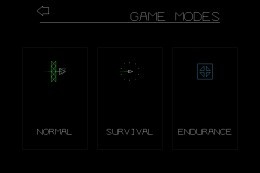 For a real challenge, though, Survival mode is a treat. With only ten lives to get you through as many levels as you can, and more lives earned by collecting the elusive shinies, every move truly counts. 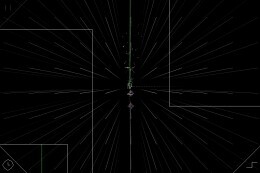 There’s more fun to go around: a challenge mode that sees you flying from portal to portal at ever increasing speeds, and a selection of fun tweaks to the game’s colors, style and layouts. And music, oh yes, the music. Aeronic’s trancey, trippy soundtrack is the perfect accompaniment to Swift Stitch‘s razor-focused play. 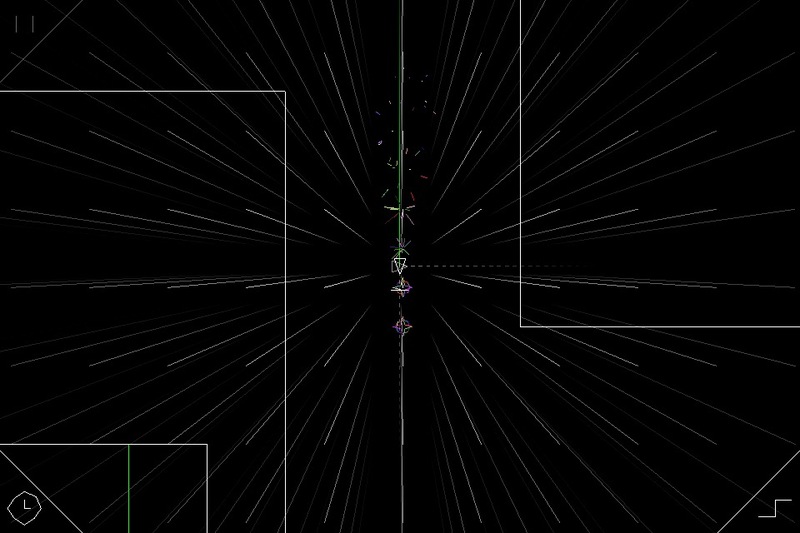 Check out the first few levels in this trailer of the PC version. And all of it, every bit of it, is ruled by just one mechanic: touch and release. One-button gameplay is a phrase that’s thrown around to indicate something casual, something ‘easy to learn, hard to master.’ There’s nothing easy about Swift Stitch. Each time you switch directions you need to recalibrate, something that never sits that comfortably. The moment you start thinking too hard about it, your fingers get tangled and it all falls apart. You can play the first few of Swift Stitch‘s levels for free, and you should. If it’s going to hook you, it will hook you quick. After that it’s just a matter of learning how to win enough times that it sticks. Nicalis picked a winner in Swift Stitch, one that feels perfectly comfortable here in its second home. And I, for one, can’t see what they bring us next.